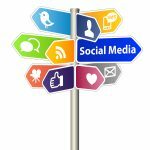 When people talk about social media marketing, you expect to hear about the same websites over and over again—Facebook, Instagram, LinkedIn, and Twitter. And while they’re all the staple of online marketing, a new website is emerging that gives you the same traffic and leads you’re looking for in a new way—Pinterest. That’s right! Before you make your judgment calls, we’ve got a lot of juicy information to share about how to use Pinterest for business, and local Pinterest expert Alisa Meredith tells us everything we need to know. On the Traffic and Leads Podcast, Alisa goes through the steps we must take in order to successfully harness the power of Pinterest to our marketing advantage, and she gives us the inside scoop as to how people can make it work. With such a unique interface, Pinterest itself is a wonderful hidden gem in the world of online marketing, and we’ve got all the information you need in order to find that success and run with it! Of course, before we can get into the intimate details of how to use Pinterest for business, we can’t forget The CLICK Technique! The CLICK Technique is a five-step process that I’ve designed for people looking to get serious about their online marketing. This process (which is free for anyone to use!) uses the letters in the word CLICK and applies each one a word that helps along said process, and when put together, results are sure to be seen. It’s easy, it’s reliable, and it gives you what you need. In the case of Pinterest, we’ll be looking at the first “C” in the word CLICK, standing for “curiosity”. Before people can get to know your business and what you do, they have to be drawn to your website first. They need to be interested in what you’ve got, and you need to pique their curiosity in order to generate that traffic and earn the clicks towards your website, and how to use Pinterest for business is no different. With such a visual platform, it’s a no-brainer as to why Pinterest marketing falls under “curiosity”! Using the image-based medium of Pinterest is what generates that wonder in the customer. If they like what they see, they’ll be more inclined to learn more, and advertisements on Pinterest can bring people right to your website. It’s a very efficient and very creative way to generate the traffic and leads you’re looking for, and Alisa tells us all about we need to know about how to use Pinterest for business. How to Use Pinterest for Business: 4 Things You Need To Know! For some, the world of Pinterest is new and unknown. While the advertising system isn’t as advanced as something like Facebook Ads, Pinterest is constantly making new changes to the way things run and their analytics in order to keep up. Pinterest ads, usually referred to as “Pinterest promoted pins”, are a fairly new concept as well, and though their options are a little limited, it gives you the chance to target your own audience and engage with people who often visit your website already. In fact, you can upload your e-mail list to Pinterest, just to reach a wider audience! And, the best news? Running ads on Pinterest is a lower cost than most social media platforms. You can spend less to get some of the best traffic you may not even know you’re missing. 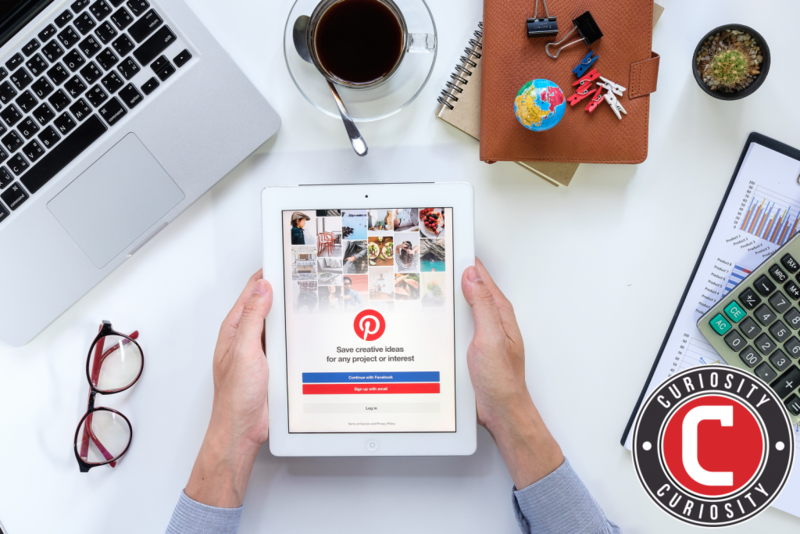 Together, we’ll go over the four things you need to know about how to use Pinterest for business and the pitfalls you should certainly avoid when taking this journey. As Pinterest is a very visual space for people, the best thing you can do going into the process of how to use Pinterest for business is know the kind of audience you’re trying to cater to. For instance, Pinterest offers a service called “act-a-like” audiences, which differs from “look-a-like” audiences in the sense that they’re more based on activity, rather than demographic. So, if you run certain ads to your “act-a-like” audience, you could see a conversion rate difference of .4 or .6%, as opposed to a normal .2%. If you find that a certain audience is interested in your content, you can scale your advertising effort by using the “act-a-like”, catering to those people and using what works. Second, you must understand the users of the website, and what they’re looking for in their everyday lives. In the United States, 75-80% of people using Pinterest are women, and while 40% of new sign-ups are male users, the website is still predominantly used by females. So, the things that work well—and the things you’ll see the most of—are wedding boards, travel boards, food and retails boards, and lifestyle boards. Because of this, marketers that know how to use Pinterest for business often use these as a platform to generate traffic as well! For example, the first customer Alisa worked with was a nutritionist. Alisa said that, together, they had a lot of fun and enjoyment when it came to creating the content, but when her client suggested using Pinterest to generate leads, she wasn’t sure how it would work. However, with two years since his last pin, Alisa can say that—through looking at his analytics—he still gets the most traffic from Pinterest over every other social media site they’ve used for advertising. Alisa as well stated that on her website, Pinterest is the #2 social topic! If that’s not proof, I don’t know what is. Honestly, what you have to do when wondering how to use Pinterest for business is look at what’s working on Pinterest—see what the most popular pins are, what other people’s most popular pins are—and build your content around that. Then you’ll see the noticeable difference, and the traffic will come in floods. Also—don’t be afraid to use irresistible offers to bring people from Pinterest to your website! A client of Alisa’s offered a free eBook with their content, and through that advertising, more eyes fell on the landing page. 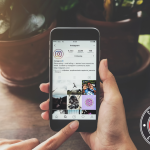 A question that most people have when beginning the process of how to use Pinterest for business falls on the ever-popular debate regarding which site to use for their advertisements is which is better: Instagram, or Pinterest? And, honestly? Alisa says both. She doesn’t entirely see a direct connection between the two but does admit to seeing a struggle from people deciding on which one they should use and how they work. For instance, Instagram is a site you use for instant gratification. The photos have to be clean, clear-cut, and nearly perfect. It’s for people who want to present their best self, and it’s a place for curating content that makes them look better. 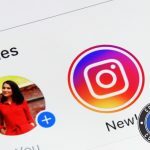 People use Instagram when they want feedback—the picture has to be eye-popping, the caption has to be witty and engaging, and people will often use the comments as a way to talk with their audience. It’s a social media platform, after all—talking to customers is the end goal. And if you’re a business, you’re there to promote your products and share your process. Pinterest works a little differently. With Pinterest, the generation of successful traffic takes a little longer than it does on Instagram—there is a slight wait. However, you get more traffic from Pinterest than you do on Instagram, according to Alisa. Pinterest is there as a visual discovery engine—it’s a solitary activity, a place where people come when they’re looking to be inspired to create their best life. Pinterest is there for people to be helpful to others, and to inspire their success and cultivate their beginnings. So, how to use Pinterest for business should start with yourself! See how you act on Pinterest—ideally, you’ll locate an interest you really care about, and you’ll look up pins and save ones you truly enjoy that apply to said interest. With marketing, the same strategy applies. You’re going to help people curate content that’ll fill up boards—think about what it is your business does that’ll inspire people and make their lives better. That’s the content you’re going to want to share. In terms of how to use Pinterest for business, a phrase you’ll hear more often than not is “promoted pins”. These are special pins you can use in order to generate traffic and get people’s attention. 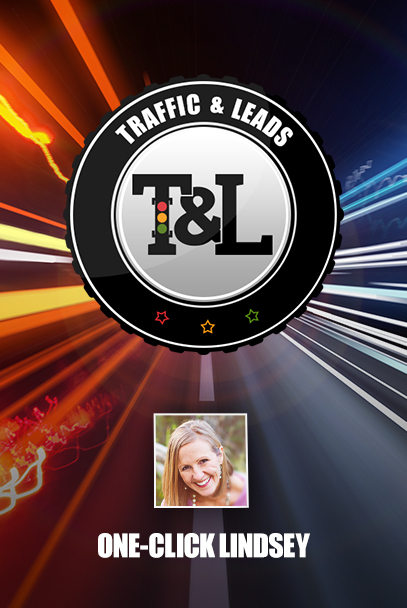 For small or medium-sized businesses, Alisa recommends only using traffic campaigns. That way, you’re only going to pay when people go from your advertisement—your “promoted pin”—directly to your website. Anything else that follows is free and helps your pin reach a larger audience. Now, when it comes to the details of how to use Pinterest for business, the site does have a service that suggests to you a price you can pay for a promoted pin. When you see something like “$4.65 a pin”, don’t freak out! Alisa assures us that you can get the same amount of activity for a much lower price. She encourages people to pay what it’s worth to you, and if that price happens to be .25 cents, then so be it! You don’t need to pay the suggested amounts in order to see results—don’t worry. Alisa also encourages us to set a daily spending limit, so you don’t lose control over your marketing very quickly. For example, you can create different ad groups for your Pinterest. If you’re inclined to promote ten different pins to ten different ad groups, that’s 100 different ad groups in total. And, if you’re paying a price that’s $5.00 a day on ad groups, you’re looking at a bill of $500 a day! When starting the process of how to use Pinterest for business, Alisa encourages us to start small, see what works first, then you can start to think about branching out. Last, but certainly not least, make sure to NOT use the “promote” button! Equivalent to the “Facebook boost” button, the promote button costs more money while targeting very few options for your audience. When figuring out how to use Pinterest for business, you’ll learn that you’re not getting the optimal results that’ll make marketing work efficiently. Make sure to stick with what Alisa says works the best. The last step in how to use Pinterest for business comes down to you! You’ve got know how the images work on Pinterest. As a site focused on visuals, you want to make sure you’re making images legible, and hard to miss. Alisa suggests that the ideal dimensions for a promoted pin are 735×1102—in her words, images that do better are the ones that are taller than they are wide. This way, it takes up more room on the home feed, making it easy for people to spot among the variety of things they’re already presented with. An important aspect to remember is using text! If what you’re picturing isn’t easy to figure out by just visuals alone, making sure the image is accompanied by legible text is important—especially to mobile users, since most Pinterest traffic comes from mobile devices. In terms of online stores, Pinterest, and how to use Pinterest for business, can be a dream! Lifestyle images, a popular search on Pinterest, work very well in the sales department. Say if you’re trying to sell a t-shirt, an image if someone wearing the product would be a wonderful way to promote it. As well as putting it in the lifestyle category, you can also pile it into the product’s category, too. Then, you’ve got the chance to create a college that would have the lifestyle image, some text in the middle, and the items you’re promoting below. Pinterest’s visual search will pick it up without a hassle! Your posts having images are important, but having it under both categories is what you need in order to promote the product efficiently. Also, make use of “rich pins”! They pull in date from your website—say, the price of the product you’re trying to promote—and insert it into the caption. And, with the use of a “rich pin”, it ensures that the data attached to stay with the pin forever! Most users can create captions, but with the extra protection of a rich pin, you’re sure to get the correct information out there. While the world of Pinterest, and how to use Pinterest for business, can seem a little foreign for those who prefer the use of Facebook and Twitter for their social media marketing, Alisa can confirm it’s well worth it! Pinterest offers such a vast array of things you can try in order to gain the traffic and leads you’re looking for, from using the visual search in order to catch the attention of potential customers, to using the promoted pins in order to bring your content to the front page, where everyone using the site will see your content first. With proven success and a new interface that offers the best of both world, Alisa continues to teach people how to use Pinterest for business and give us a whole new way to look at media marketing!